Archives and artifacts capture Weehawken during the "War to End All Wars"
The Weehawken Historical Commision and veteran Joe Fredericks Jr. stand before the exhibit's victory arch. The exhibit will run through Jan. 31. Mayor Turner and members of the township council attended the opening night. Troops stationed in town in the shadow of the Weehawken Water Tower. 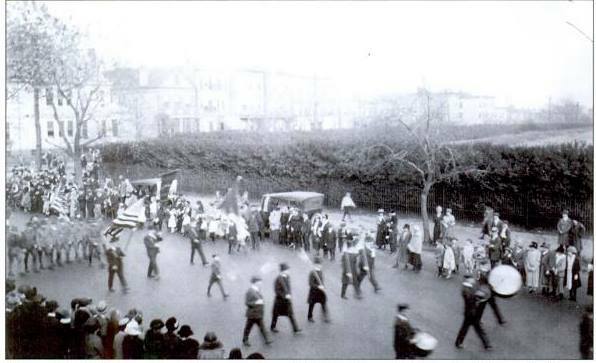 Military parades were common during the war. 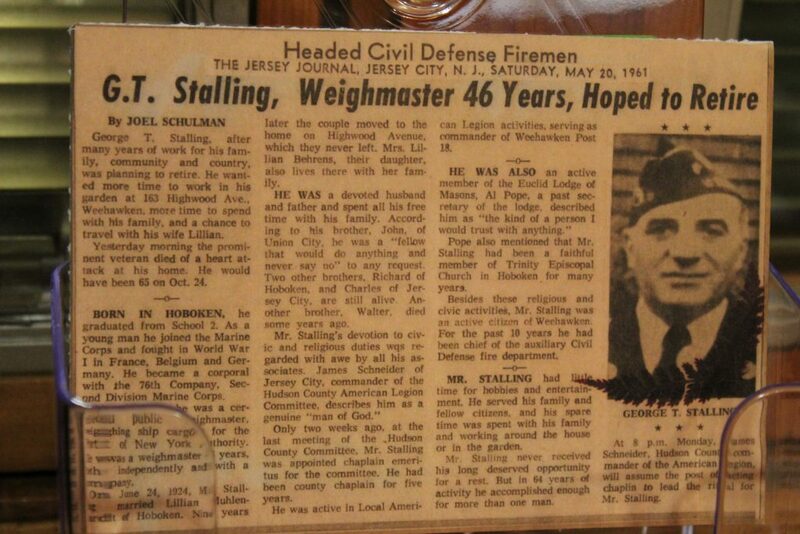 Corporal George T. Stalling's uniform is none the worse for wear after many years in storage. Corporal Stalling's obituary provided more insight into the life he led after seeing combat in Europe. The historical commission provided a detailed description of a German spy arrested in Weehawken. 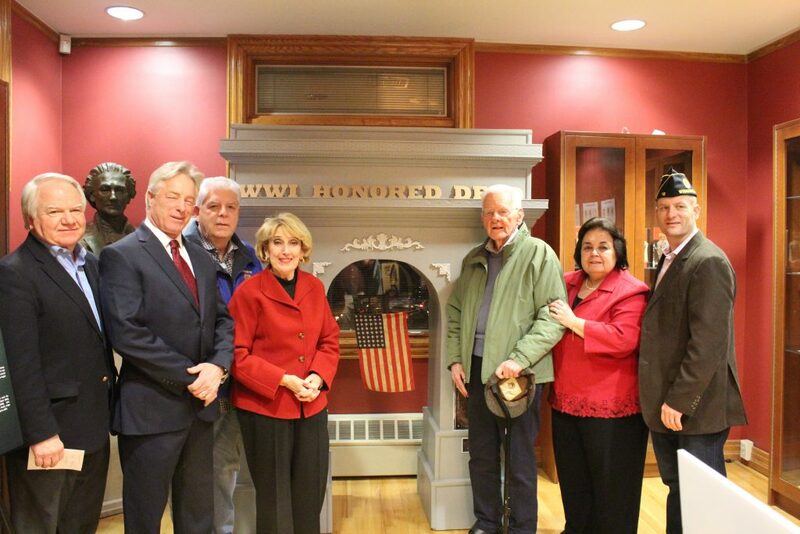 On Jan 3, the Weehawken Historical Commission opened an exhibit titled The faces of World War 1, showing at the Weehawken Public Library at 49 Hauxhurst Ave. through Jan. 31. The exhibit marks 100 years since the Treaty of Versailles brought an end to World War 1. Throughout the course of the war, 600 Weehawken residents were deployed overseas. 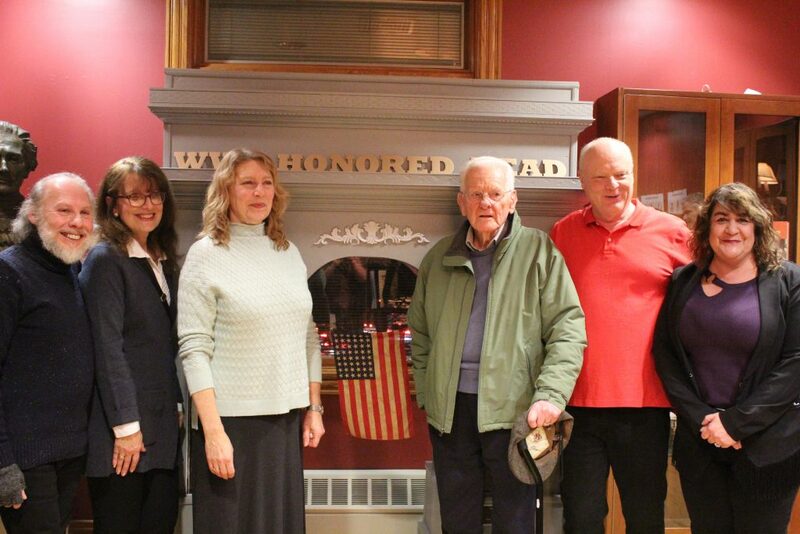 Lauren Sherman, Donna Daly, Willie Demontreux, and Mike and Nancy Boldt, members of the historical commission, spent months sifting through data for any and all depictions of World War 1, relating to Weehawken. The exhibit details the story of a town that served as a vital East Coast location for naval ports, plane spotters, and other defenses. 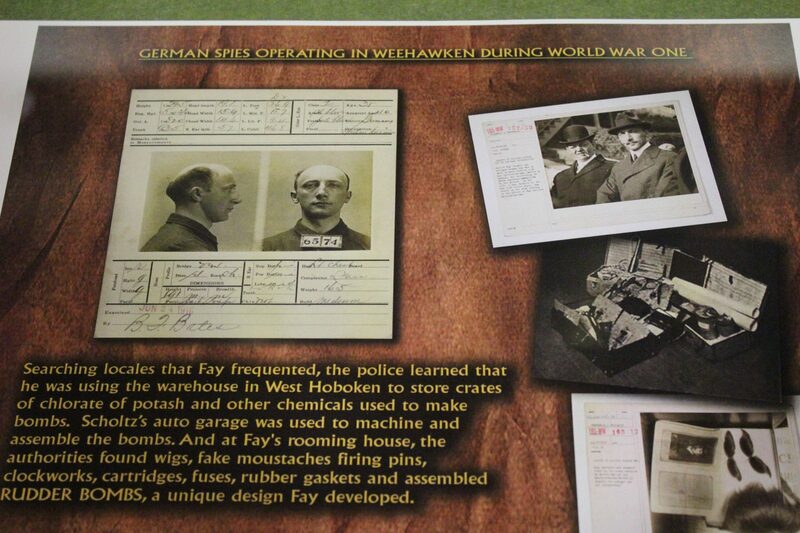 German spies also plotted behind enemy lines in Weehawken. Among those who came for the opening were members of the Weehawken Historical Commission, the VFW’s Commander Chuck Barone, VFW Senior Vice Commander Joe Fredericks Jr., American Legion Commander Chris Page, and American Legion Senior Vice Commander Troy Mack. The exhibit features photos taken during the war, depicting soldiers in town. 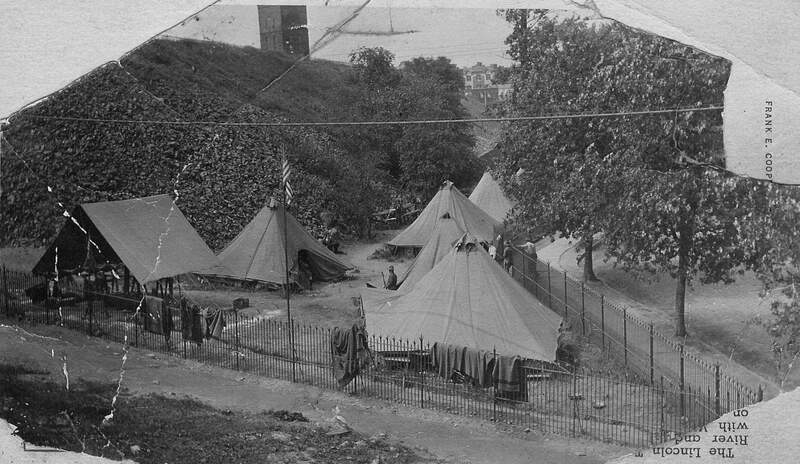 In Weehawken, soldiers prepared to embark for Europe from New York Harbor or maintain defense along the Hudson River. Contemporaneous news stories from local outlets are also on display. 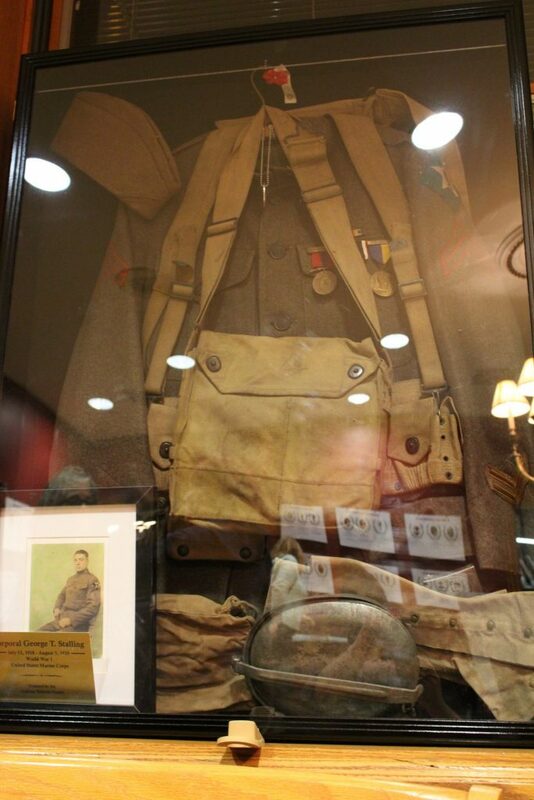 Lee Ann Baxmeyer, a teacher at Weehawken High School, donated a uniform from the war that belonged to her grandfather, Corporal George Stalling, who fought in France and Belgium during the war. It was in pristine condition, seemingly undamaged by a century of storage. Mugshots and an excerpt from a police blotter detail the arrest of Robert Fay, a German spy operating within Weehawken. According to the blotter, Fay was detained in Weehawken’s town hall and turned over to the FBI following his failed plot to sabotage ships in New York Harbor with explosives. While the Soldiers and Sailors WWI Monument in Weehawken’s Hamilton Plaza states that only 21 Weehawken residents sacrificed their lives during the war, recent digging by the commission proved otherwise. “We’ll do everything we can to honor those who gave the supreme sacrifice.” – Mayor Richard Turner. After months of archival research this year, the identities of nine additional Weehawken service members were uncovered, either casualties of war or missing in action. In the meantime, Councilman Dave Curtis oversaw the building of a victory arch, which displays the names of all 30 Weehawken residents who were killed in action, or died as a result of incidents that occurred during the war. A few of the names uncovered by the historical commission had been literally buried. Four marble blocks bearing initials were unearthed at Weehawken High School in November. The stones, which were first placed by students at the Alexander Hamilton School for classmates who had died in the war, were lost after the current high school was constructed on Hamilton School’s property. 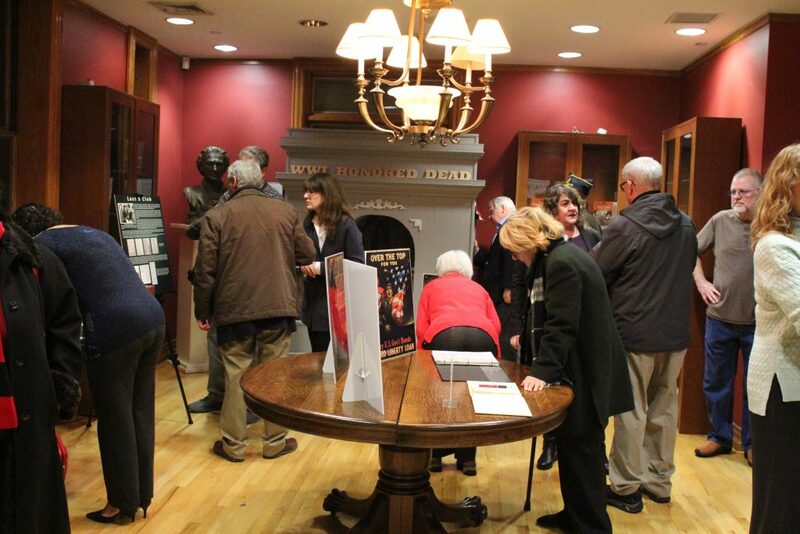 The historical commission used archives to connect the initials to those of World War 1 combatants killed or missing in action. Those newly discovered casualties were Frederick Hansen, William Kraft, Norman Walpole, and Alexander Saldarini. Earlier in November, Weehawken High School held a re-dedication ceremony for the stones, which were finally placed in a flowerbed beneath the school’s flagpole.